Arundel AG (“Arundel”) is a Swiss corporation whose shares are listed on the SIX Swiss Exchange under the regulatory standard for equity securities (International Reporting Standard). It is the holding company for the Group. Arundel was formed in 1988 as a property investment company and obtained a listing for its shares in Zurich in 2005. In 2007, the Group acquired four office buildings in Leipzig, Germany, leased to the Free State of Saxony (Covenant Strength: AAA). In 2013, the Group’s near term focus shifted from Europe to India and it conditionally acquired undeveloped parcels of land in India in 2015 and 2016. In 2016, Arundel acquired RP&C International Inc. (“RP&C”), an investment banking group based in London. RP&C principals have been involved with Arundel since inception and have provided management and advisory services to Arundel since 1998. Following the acquisition of RP&C, Arundel’s subsidiaries are regulated in the transaction of their businesses in the US by the Financial Industry Regulatory Authority; in the United Kingdom by the Financial Conduct Authority; and in Mauritius by the Mauritian Financial Services Commission. The Group operates from offices in London, New York and Mauritius. Since its formation in 1992, RP&C has acted as sponsor, lead manager, co-lead manager, placement agent or adviser on over $8.5 billion of transactions. RP&C’s activities have encompassed the private placement of equity and debt, merger and acquisition advice, the creation and marketing of structured finance products and the formation and management of various investment entities. RP&C has been involved in raising in excess of $1.4 billion of equity through reverse mergers, initial public offerings and secondary placings; $3.6 billion for investment funds; $1.3 billion of senior and mezzanine debt and $1.6 billion of convertible securities. Industries which RP&C has helped finance include real estate, energy, IT, telecoms, healthcare, mining, metals, manufacturing and transport. Dr Klaucke has over 30 years of experience in investment banking. He worked for nearly 20 years at Deutsche Bank in Luxembourg, Tokyo, New York and Frankfurt where he was primarily responsible for corporate finance and mergers and acquisitions. He joined Pricewaterhouse, Frankfurt, in 1991 as a Partner and Member of the Corporate Finance Executive Committee for Europe. 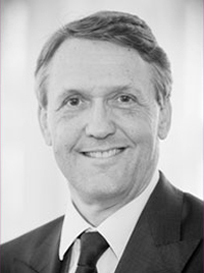 Dr Klaucke has served as Chairman or on the Boards of Directors and/or Advisory Committees of various European and American corporations including Tarkett AG, listed on the Frankfurt Stock Exchange, Caisse de Depot et Consignation GmbH in Frankfurt, Deutsche Börse in Dusseldorf, Vespucci Income Shares Inc. (a subsidiary of Munich Re) in New York and Doolan Steel Corporation of New Jersey. Dr. Srinivas has served as Chief Operating Officer and a Director of RP&C and related companies since 1998. He has advised the Group since 1989 and has been a director of various Group subsidiaries for more than 10 years. Dr. Srinivas previously served as Managing Director, Corporate Finance at SBCI Swiss Bank Corporation Investment Bank in New York where he was responsible for private placements and structured finance in North America. He subsequently held similar positions at Leu Securities and Guinness Mahon Capital Markets (now Investec) in London. Dr. Srinivas attended the University of St. Gallen and the Columbia Business School where he earned a doctorate in finance and economics. Mr. Quint is a co-founder and has served as Chief Executive Officer of RP&C since 1992. Prior to founding RP&C in 1992, Mr. Quint served as Managing Director of Belden & Blake Corporation's UK subsidiary and as an attorney with Arter & Hadden. Mr. Quint is a graduate of the University of Notre Dame, where he received a degree in Modern Languages and a Juris Doctorate. He also serves as a non-executive director of Nautilus Marine Services Plc, a company providing offshore marine services to the oil and gas industry, listed on the AIM market of the London Stock Exchange. Mr Müller is currently an executive with the firm of Compass Portfolio Management AG, Cham (Switzerland). From 2000 – 2018, Mr. Müller served in the executive management of Scherrer & Partner Investment Management AG (Zurich) and of First Equity Securities AG (Zurich), companies involved in asset management for private clients and the management of investment funds. From 1995-2000, Mr. Müller served in the management of Jefferies (Switzerland) Ltd and as the general manager of Jefferies Asset Management AG (Zug). Mr Beney is a Chartered Accountant who has served as CFO of the RP&C group since 1998. He previously worked in the capital markets division at Guinness Mahon in London, after spending seven years as CFO of various Bank Leu subsidiaries. Currently in charge of the Indian operations of the Group, Mr Dixit has previously worked for US private equity firms and for General Motors Corporation in the US and India. He holds an MBA from the University of Michigan. Mr. Borg has been General Counsel of the RP&C group since 1998. He was previously a solicitor in Norton Rose’s corporate finance team specialising in investment funds. He read law at Oxford University.